Boston – The Boston Society of Architects/AIA (BSA/AIA) announced that Payette has been selected as the 56th recipient of the American Institute of Architects’ (AIA) highest honor, the Architecture Firm of the Year award. Other firms with close ties to Boston that have received this honor include Leers Weinzapfel Associates Architects (2007); Gensler (2000); Perkins and Will (1999); Cambridge Seven Associates (1993); Kallman McKinnel & Wood Architects (1984); Shepley Bulfinch (1973); Benjamin Thompson and Associates (1987); I.M. Pei and Partners (1968); and The Architects Collaborative (1964). 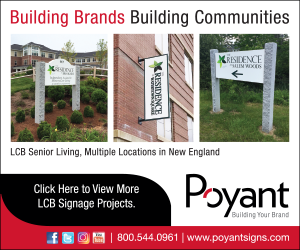 Founded in 1932 by industrial engineers Fred Markus and Paul Nocka, the Boston firm has been “Payette” since 1974, when Tom Payette FAIA became president. Now led by Kevin Sullivan FAIA, the approximately 160-person practice is known for research-based design that performs at a high level technically, programmatically, and environmentally while emphasizing the human experience.